Social media-related arguments and breakups are on the rise, experts say. Here’s how to safeguard your commitment (and sanity). For the first three months of my relationship, my now-spouse Sabrina and I refrained from “friending” each other on Facebook to avoid the inevitable compulsion to sleuth through each other’s old posts, photos, friends and lovers. The seminal stages of love are fragile — full of doubts, uncertainties and projections. Why rock that unsteady foundation, we agreed. But, eventually, we took the plunge. The moment I clicked “connect,” I knew it could be the beginning of our demise. As a reporter with an insatiable curiosity (and to be honest, a bit of a masochistic streak), I couldn’t help but hunt for things that would hurt me. And I found plenty of them: Cute exchanges and pictures between her and her adorable ex-girlfriends, random girls (and boys!) she’d hooked up with in the past. Even reading about the celebrities she found attractive stung. My madness back then reminds me of a quote by poet Maya Angelou, who captured the full face of relationship jealousy in these wise words: “In romance [it] is like salt in food. A little can enhance the savor, but too much can spoil the pleasure and, under certain circumstances, can be life-threatening.” I was feasting entirely on salt — and it needed to stop. So after a series of my interrogations into her past, Sabrina took a drastic measure: she got off Facebook altogether, and in solidarity, I did too. But Marin is noticing a surge in the number of clients fighting and/or breaking up over social media. “A number of clients have called me because their partner started an affair with a lover from the past or a high school sweetheart due to Facebook,” says relationship expert and author of Allowing Magnificence, Susan Winter. Caroline, a 42-year-old artist who asked us to use a pseudonym to protect her identity, calls LinkedIn “the perfect alibi” for men to meet pretty women. She isn’t proud of her undercover tactics to prevent her husband from connecting with attractive would-be contacts: Caroline rejects requests from pretty women on his LinkedIn page and “unfollows” ones she deems too good looking. But she doesn’t plan to stop. LinkedIn is “networking for sexual opportunities,” she cracks. 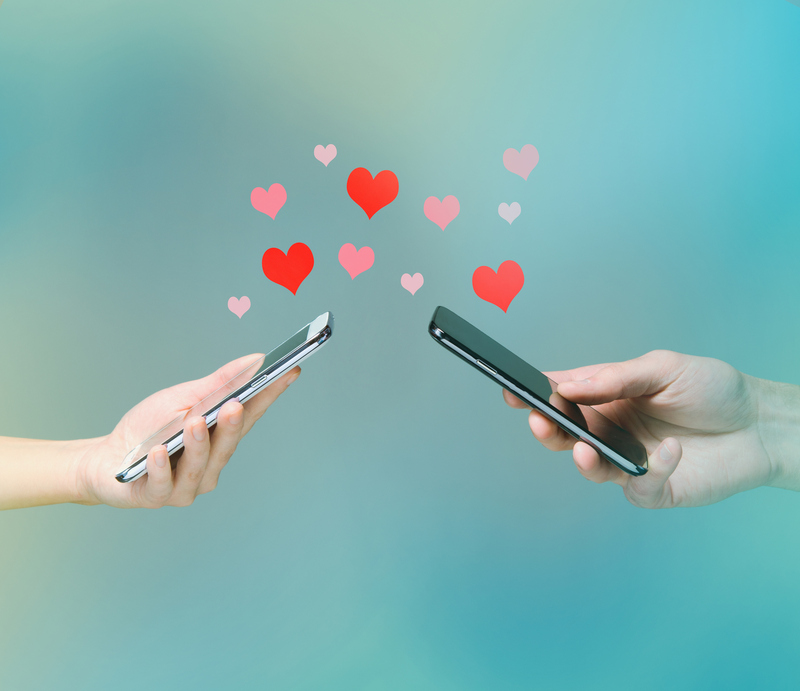 Marin believes that every couple should have a discussion about social media. But because it’s not realistic to attempt to anticipate every conceivable scenario in advance, she recommends partners ask themselves specific questions, like: “What do you think qualifies as ‘inappropriate behavior’ when it comes to social media? Are there any guidelines you already have in mind? Have you ever had any problems with social media in your past relationships?” Winter recommends writing down your answers and reviewing your rules “every year or so, like a lease,” because, she points out, people’s desires and needs change as they grow and evolve. There’s a long-enduring notion that true intimacy means sharing absolutely every thought, feeling and action with your partner. But that’s a toxic belief, one that risks forcing your relationship into a perpetual state of surveillance. Our partners are separate entities from us and are entitled to spaces in their minds and lives that belong to them alone. As Esther Perel, renowned relationship expert and author of Mating in Captivity, writes: “Fire needs air … so does a relationship for it to breathe and thrive. We all need experiences of our own, unique to ourselves.” She argues that the unknowable aspects of our partners are what keep the thrill alive. So temper the urge to spy. Sexton concedes that most marriages reach a kind of stasis where things aren’t as “exciting.” As soon as you feel the itch to stray or escape into online possibilities, that’s the time to log off what he calls “the opiate for the masses,” and assess what’s lacking in your relationship. “It’s like when you think you really need a drink,” he says, “that’s the worst time to have one.” So unplug and reconnect with the one you love when the fire starts to flicker. Or, ditch certain social media outlets altogether….it could be the secret to my and Sabrina’s decade-long union.